After a Phoenix auto accident, there are many dangers present that pose a risk to those involved. One of the most commonly overlooked risks is broken glass. Broken glass often results in painful injury. Not only does broken glass pose a threat to passengers involved in a crash, but flying pieces of glass can also be dangerous to any innocent bystanders outside of the vehicle. In a worst case scenario, broken glass that becomes a projectile can fly through the air at high speeds and fatally injure a bystander in an instant. If you or a loved one has sustained a broken glass injury due to the actions or negligence of another driver, you may be able to file a claim to recover compensation for any damages related to the wreck. To begin exploring your legal options, contact our broken glass injury attorneys today by completing the Free Case Review form to the right. Even if two vehicles collide at low speeds, the force that is generated by this collision can be massive. Newer vehicles designs include windshields that were specifically manufactured to avoid shattering. Unfortunately, however, this does not completely prevent glass from shattering in a high-velocity impact crash. Also, most rear and side windows are not built out of the same strong material as a windshield and may not be able to withstand the force of impact. Broken shards of glass from smashed rear and side windows can be sent flying in every direction after a crash. Any passenger inside a vehicle at the time of the accident is totally vulnerable and defenseless to broken glass injuries. These injuries can be severe and cause extreme pain in the affected individual. Surface-Level Cuts: This could be considered the least severe broken glass injury suffered by Phoenix auto accident victims. Surface-level cuts simply tear the skin and do not penetrate into the bodys tissue. These often require minimal treatment, including cleaning and possible stitches, in serious instances, to stop the bleeding. Deep-Level Lacerations: This type of injury happens when sharp pieces of glass penetrate deep inside the skin. A deep-level laceration is a cut that penetrates through the skin, the underlying skin tissue and muscle fibers, all the way through to the bone. Sometimes, a deep-level laceration could result in permanent disfigurement. Shock: After being involved in a serious accident, it is understandable that a victim may undergo some psychological trauma. Once a victim sees that they are bleeding profusely from a broken glass injury, managing this trauma can become difficult. An extreme emotional reaction to this type of injury can develop into shock. If shock is not treated immediately and aggressively, it can become fatal. Severed Limbs: A severed limb can result if a shard of broken glass is large enough or sharp enough to penetrate the body all the way through. If one shard of glass penetrates the body at a particularly vulnerable location, it could severe an artery, requiring that the affected limb be amputated. Fatality: If broken glass hits the arteries in the neck or any other part of the body that is particularly vulnerable, an accident victim can bleed to death in a matter of minutes if medical help does not arrive right away. Broken glass injuries range in severity and many require immediate medical attention. If you or a loved one has sustained an injury from broken glass in an accident that was caused by the negligence of another driver, we believe that you deserve both compassion and compensation for your losses. 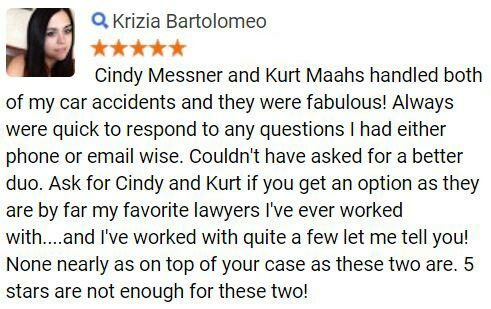 To see how our attorneys may be able to help you with your claim, simply complete the Free Case Review form on this page today. It only takes a second for an auto accident to occur, but the aftermath of a collision, especially one that results in serious injuries, can last a lifetime. Accident victims should be focused on recovering from their injuries. Instead, many are forced to worry about how they will be able to afford the growing pile of expenses they accumulate after a wreck. Let our experienced car accident attorneys fight to hold the at-fault parties accountable for any damages from the crash in order to ensure your financial stability during this difficult time. 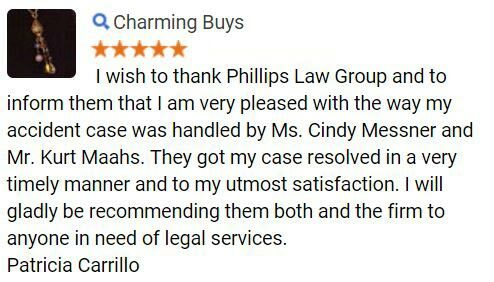 At the Phillips Law Group, our team of attorneys has a wealth of knowledge and expertise in handling broken glass injury claims. 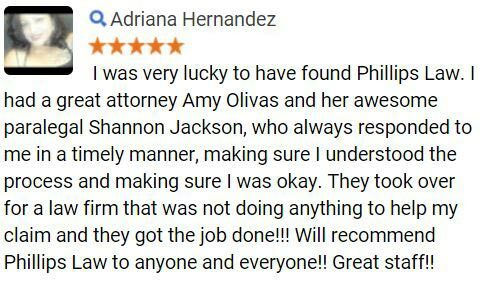 We urge you to contact our firm right away to schedule a free, initial case evaluation. During your evaluation, we will assess the merits of your claim and offer advice on how to best pursue legal recourse for your losses. But, do not delay in contacting an attorney! Arizona has a strict statute of limitations for filing an injury lawsuit, and failing to do so within a reasonable amount of time could significantly affect your ability to recover fair compensation for your broken glass injuries. 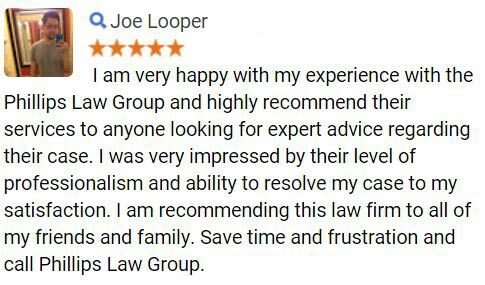 For more information on the legal rights which may be available to Arizona broken glass injury victims and their families or to schedule a confidential, no-obligation consultation with a member of our legal team, please complete the Free Case Review form on this page.